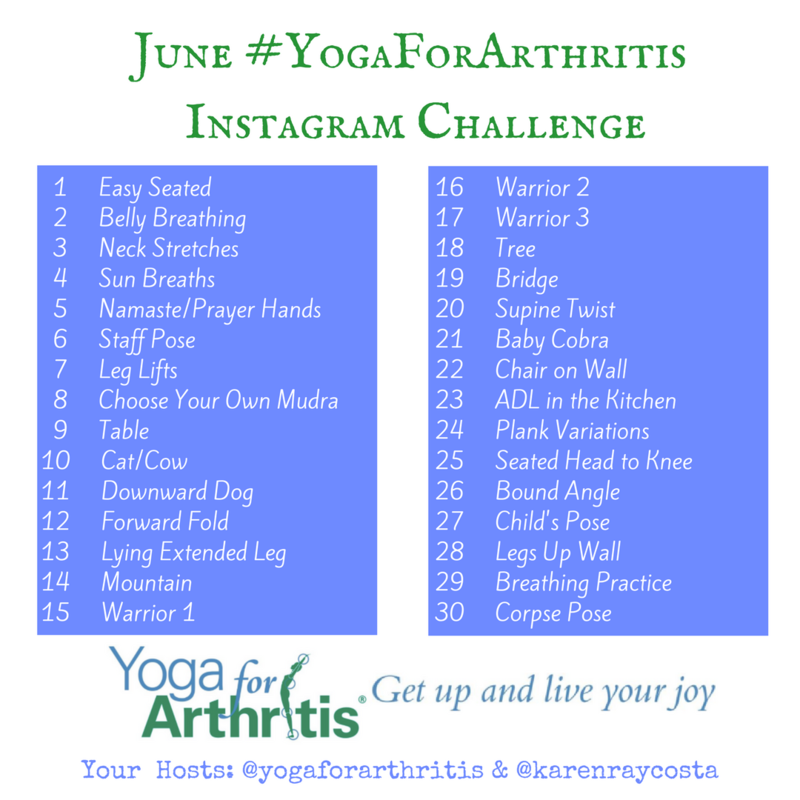 Thanks to Karen Ray Costa, one our newest YFA teachers, for organizing an Instagram challenge for us. Post a photo of yourself practicing these poses each day of the challenge. Tag us and use hashtag #yogaforarthritis. TWO general memberships to the Yoga for Arthritis website which includes amazing resources for both teachers and students. Each post that meets the guidelines above will count as an entry. Winners will be chosen at random and contacted by July 5th. Thanks for joining us on this challenge and helping us to spread the word that yoga is for everyone. Make sure to tag your friends and family members who are living with arthritis. Namaste and happy posting. Karen Costa is a writer, yoga teacher, coach, and educator living in Massachusetts. 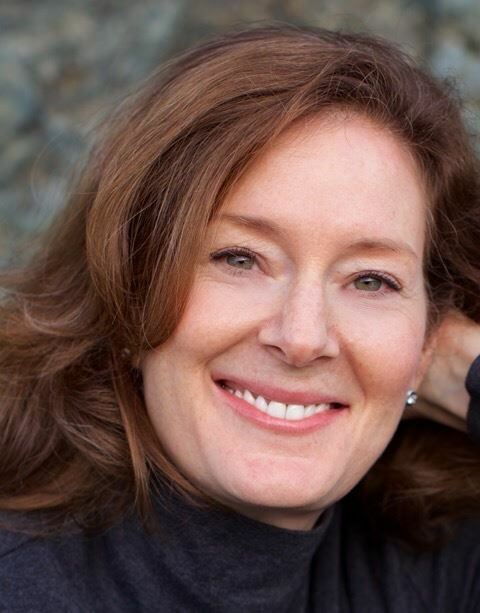 Her teaching is focused on gentle, restorative, and accessible yoga. 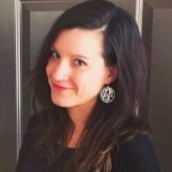 She is passionate about helping students from all walks of life, at all levels, to connect with the powerful practice of yoga. 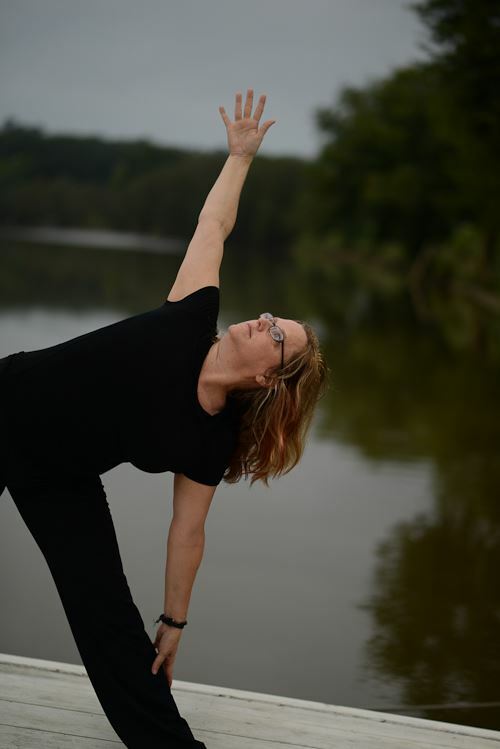 Karen leads various yoga workshops on topics such as meditation and personal growth. 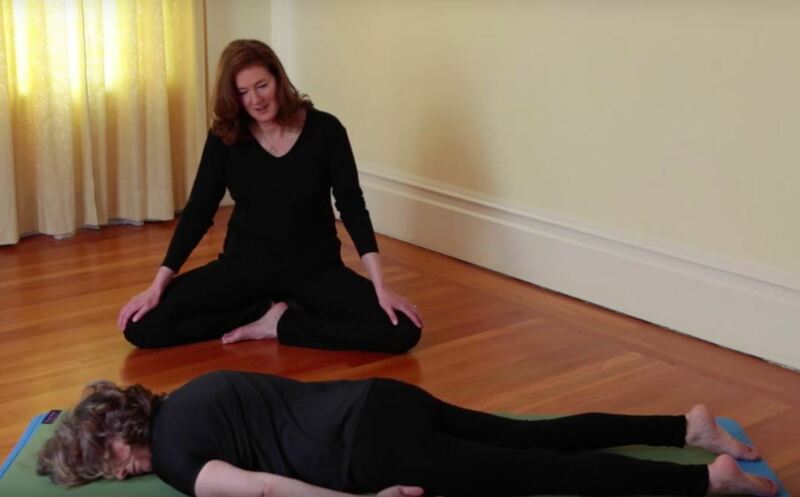 She completed her 200-hour teacher training with Frog Pond Yoga Centre in Princeton, Massachusetts, is certified in Reiki 1, and recently completed Level I training with Yoga for Arthritis studying under Ann Swanson. Karen has worked in higher education for over a decade and holds a master's of higher education and a certificate of advanced graduate studies in educational leadership. Her higher education work is focused on helping first-year, non-traditional students, to achieve academic success. She is a staff writer at Women in Higher Education and calls Central Massachusetts her home. Her ideal day starts with a cup of coffee and is spent at home with her husband and son, playing board games, reading, and writing. Two of her favorite places on Earth are Long Beach Island, New Jersey, and the amazing Kripalu Yoga Retreat Center in Western Massachusetts. Learn more about her work at www.thecoreofyourcore.com. You can find her on Facebook at facebook.com/thecoreofyourcore. Follow Karen on Twitter @KarenRayCosta and on Instagram @KarenRayCosta. I remember the moment that my chronic back pain moved from a one on the pain scale to a ten. It was July 2016 while taking a walking tour that involved hills, starts and stops for conversation, not much time to complain and no time to sit down. When I got to my car I was in tears. I wasn’t sure what to do. I started with my family doctor. 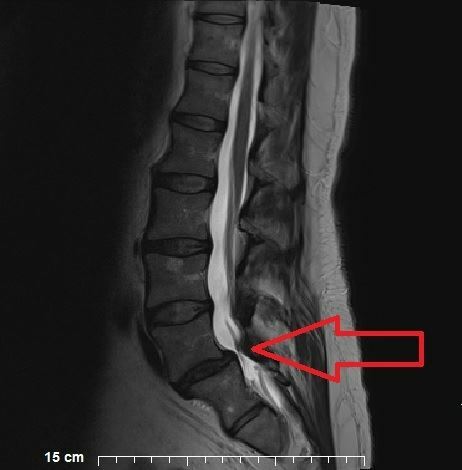 MRI showed Degenerative Disc Disease with an extruding disc. I was told to select a neurosurgeon. This process took months, all the while I was in pain. To cope I began researching what I could do to help myself. I could go to a pain doctor for injections, but I was still going to need surgery, so I decided against that expense. 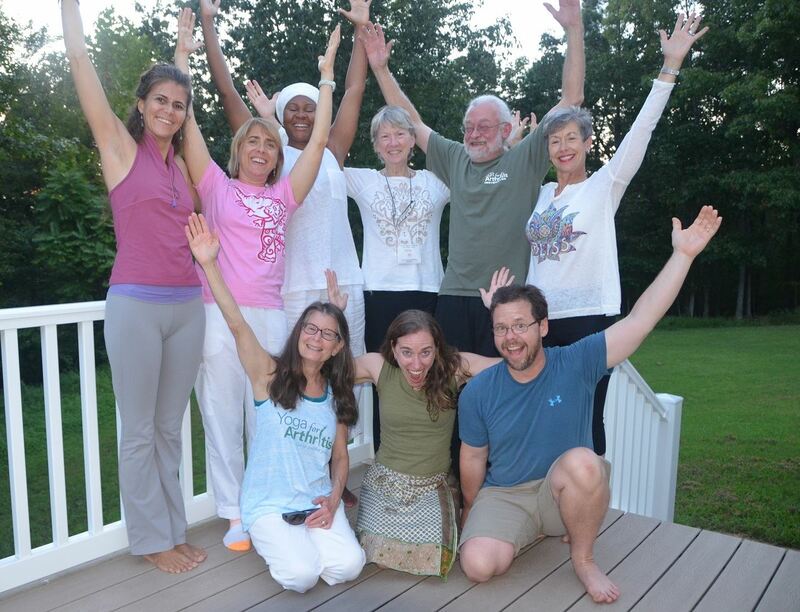 As a Yoga Therapist, C-IAYT, I reached out to my community of colleagues. After much trial and error, I came up with a routine that worked for me. 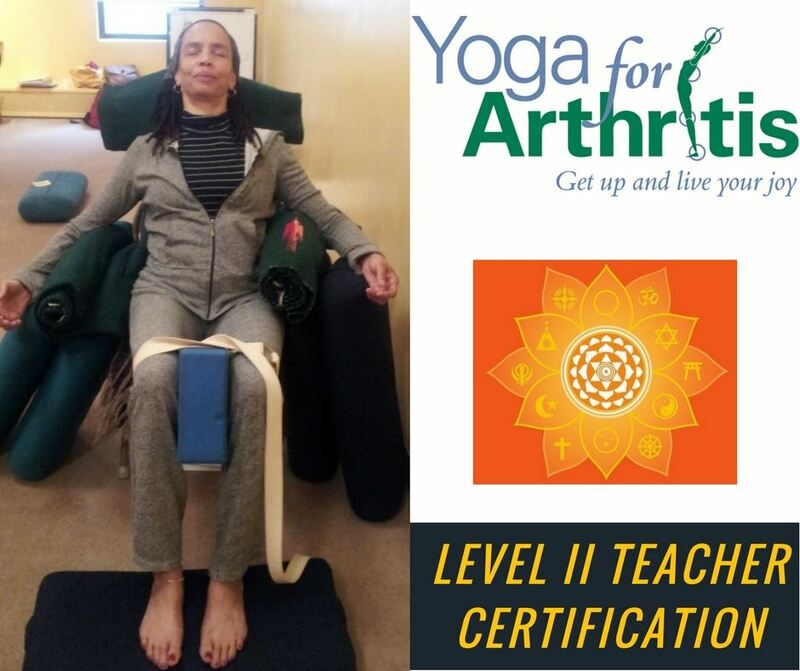 As part of my research I became a Level 1 Yoga for Arthritis Teacher. I also consulted with books, doctors, friend and associates that suffer with back pain too. The routine I eventually came up with takes 15 minutes of Yoga Therapy Poses and 15 minutes of meditation and breath work each day. I went from not being able to walk even 1/8 of a mile in September to walking up to ½ mile before the surgery in December. Since surgery I have walked as much as 8 miles without sitting down! But I still have my routine that I am slowly integrating back into my day. - Supine Figure 4 Pose – knees bent feet on floor. Bring one foot up and rest it on the opposite knee. Let the knee of the leg that is up drop open. Take your hands and hold on to the back of the knee that is on the down leg. Gently pull that knee in toward your chest. Optionally use your elbow to open the knee of the up leg. Switch sides. - On good days only – Plank pose (upper pushup) for a few seconds moving into one very slow chaturanga (lower pushup), followed by pushups. Belly button to spine the whole time, focus on core. On a bad day – wall pushups. - Prone Decompression pose – extend arms finger tips on ground, tuck toes, squeeze knees together and breathe – 4-5 breaths allow the head to rise just a little, the tiniest backbend. Feel a lengthening in the spine. Adapted from Foundation Training, only the part that starts at 1:30. - Squat walk to meditation spot. - Inversion (not on the head) of some sort. To get out of gravity. Down dog with a sling (Krentzman), Hand Stand, or Inversion Table, etc. I was honored not long ago to be a guest blogger for the Cochrane Collaborative. Their mission “is to promote evidence-informed health decision-making by producing high-quality, relevant, accessible systematic reviews and other synthesized research evidence. 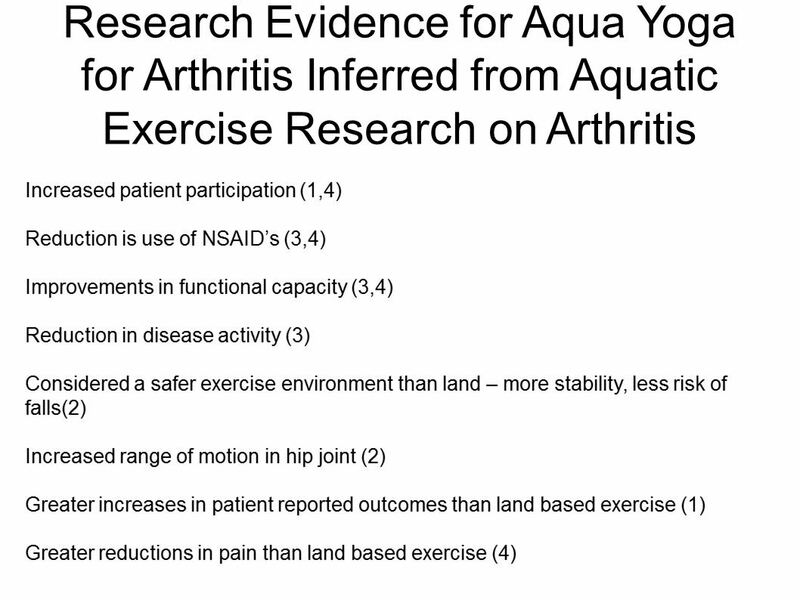 [Their] work is internationally recognized as the benchmark for high-quality information about the effectiveness of health care.” Cochrane was releasing a systematic review of studies on the use of yoga to treat non-specific low back pain which showed yoga as promising. Unfortunately, there wasn’t room to include my daily routine, I’m so glad to share it above. Since writing the blog post for Cochrane the American College of Physicians have published a new guideline for the treatment of low back pain which lowers the use of opioids and increases the use of complementary therapies, including yoga therapy. I’m so thankful for yoga therapy. It has truly saved my life. To find a certified yoga therapist in your area go to the International Association of Yoga Therapist’s website. Please reach out to me if the routine above is confusing. For as long as I can remember, I’ve been interested in the mind/body connection. From age 7, I knew I wanted to be a communicator and use my gifts as a singer and performer. Even then, I was fascinated by the writings of Abraham Maslow and his theory of self-actualization. In high school, I began meditating and dabbling in many of the modalities I now teach, but that was many years before I would return to serious study. After earning a BFA in Music and Theater, I pursued my performing goals all the way to Carnegie Hall, earning a Bistro Award for my one-woman show, recording a CD and receiving other accolades. Some twenty years later - after many years of performing - I felt called again to my high school interests and redirected my focus. Interestingly, I was specifically called to therapeutic yoga. This was many years before the advent of Yoga Therapy as a profession in the west. I immersed myself in an eclectic array of studies including Gentle and Therapeutic Yoga, Ayurveda, Pranayama, Anatomy, MBSR, Raja Yoga and Sacred Mantra. I began a private practice in NYC, which quickly grew. At the same time, I was invited to teach a chair yoga class at a metropolitan Guild for the Blind where I ultimately taught for 6 years. In fact, that time remains one of my most cherished teaching experiences. The work involved a steep learning curve. Since the students had physical and emotional challenges that required attention, much concentration to detail and precise languaging was required. I learned as much - or more - than I taught. After some time, I founded Resilience for Life®, the business under which I now offer a variety of services aimed to educate and motivate people on their own path towards wellness. I became a Senior Faculty and co-presenter for the Stress Management Teacher Training program through the Integral Yoga Academy. For the past 10 years, I’ve had the opportunity to teach people from all over the world and provide mentorship to many of the students. More recently, my connection to Integral Yoga and my work as a Stress Management Trainer led to my being hired by Dr. Dean Ornish, working as an Ornish Faculty on his Program for Reversing Heart Disease. As a stress management trainer, I’ve long understood the connection between stress and disease. Stress can have a significant and negative effect on arthritis, which is now the leading cause of disability in the US. Becoming a Yoga for Arthritis certified teacher seemed a logical progression. I’d also heard wonderful things about Dr. Steffany Moonaz and her team. Arthritis has touched my own family. My father and grandmother were both personally impacted by the condition. My Dad had an affected knee from his college football injuries. My grandmother’s swollen knuckles caused her horrible pain and made it increasingly difficult for her to write, open mail or perform the simplest activities. Their experiences shaped my understanding of the devastating effects of arthritis and are a driving force behind my work today. It excites me to now have the multitude of tools I’ve learned in the Yoga for Arthritis training and to be of service to not only my students but to offer support to my family. I’m equally committed to taking care of my own health as I age so that I can continue to be vital. 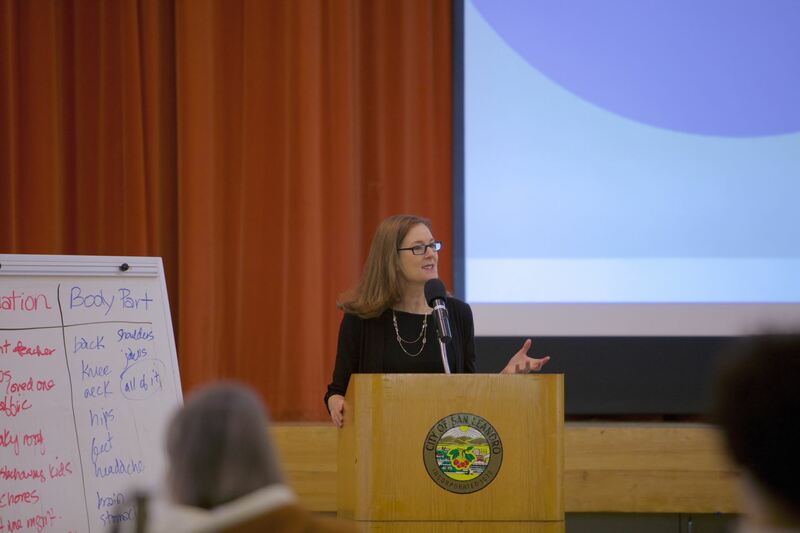 In the past several years, I forged a relationship with the Northern California Arthritis Foundation and have presented Resilience for Life Stress Reduction Workshops for Arthritis at their EXPOs. Most presenters at the EXPO deliver a straight lecture; mine is one of the only experiential programs, and, consequently, the feedback has been very high. Given the opportunity to be exposed to the useful practices we offer opens windows of possibility to arthritis sufferers. It gives them hope, and it improves the quality of their lives. Finally, in the past 9 years, I’ve added coaching to my toolkit and am now a licensed HeartMath provider and also New Life Story Wellness Coach. A highlight for me in 2014 was the inclusion of a client case study in the publication Successful Life Story Transformations: Using the ROADMAP System to Change Mind, Brain, and Behavior, edited by one of my teachers, Dr. David Krueger. This fall, I’ll be sitting for the first National Board Certified Health & Wellness Coach (NBC-HWC) accreditation, from ICHWC.org. I’m grateful to be a part of the Yoga for Arthritis community. Deep bows to Steffany for planting the seed and creating it! I look forward to continuing to share Yoga for Arthritis with groups, individuals and as a mentor, supporting those seeking the Yoga for Arthritis certification. 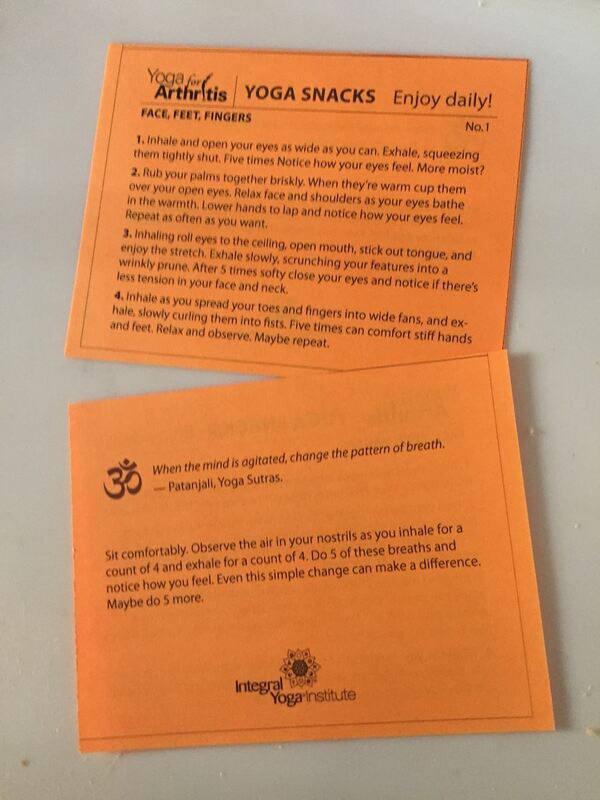 Thanks to Livvie Mann and the extraordinary team at Integral Yoga NYC for sharing their yummy snacks with us. Enjoy! A printable PDF version of this is available to YFA members of all levels in the members only content area. If you're not a member, consider joining us in the patient's or teacher's section. Amy Welden, YFA Certified Instructor, submitted this great idea for the holiday season. Since she was generous enough to share, if you use these resources, please give her credit. 2. On the back of the Certification, the 8 Limbs of Yoga and how they could apply to Yoga for Arthritis. I had the cookies on table with the certificates and clipped a couple Yogi teas (Calming/Bedtime) to each certificate. Everyone loved reading the 8 Limbs info and those Gingerbread Yoga People are just too cute. I made over 100 and you can see that is frosting on my black shirt!! I just wanted you to see how adorable these cookies are. Even when not perfect, you can still be appreciated and charming! Ahimsa – applying non-violence to every part of your life. Not harming yourself or others. Being mindful to listen to your body and paying attention. Avoid negative self-talk. Satya – Truth or living according to your own truth. Accepting what your body can or can’t do today. Asteya – non-stealing. Avoid taking someone else’s peace. Brahmacharya – abstinence. Accept what you are able to do and avoid comparing what someone else can do and you can’t in asana practice. Niyama – five essential self-observances. Asana – yoga “poses”. In Sanskrit, it means, “seat”. Pranayama – life force. Prana, in Sanskrit means breath/energy/vitality. Ayama = to stretch. Pratyhara – to withdraw from the senses, going inward to find calm. Samadhi – Sama means, “equal”. Dhi=thinking. What can happen when all seven limbs are practiced with earnest, without break for a long time. You can order the gingerbread yogi cookie cutters from the Baked Ideas website. This is the recipe that Amy uses. With a little added chocolate cocoa as her secret ingredient. Directions for decorating the cookies can be found on Youtube HERE. This book, by Harry D. Fischer, M.D. and Winnie Yu, is a book written to help people who are diagnosed with rheumatoid arthritis (RA). Co-authored by a medical doctor and a health writer, this text is practical in content, and written in straight – forward, understandable language. 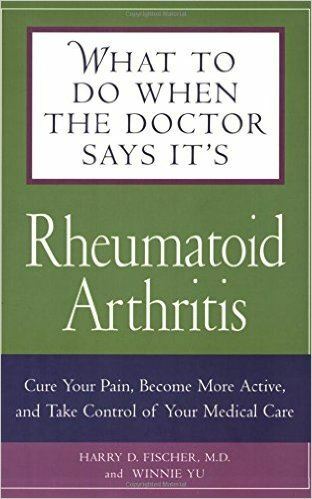 The 14 Chapters include definitions, the importance of creating a medical team, use of self-help, traditional and non-traditional methods when treating RA. It also provides a glossary of terms, a list of resources and a bibliography. Each chapter ends with a case study from a person who has RA and how they applied the topic of the chapter to his or her life. Chapter 6, Exercising with RA, doesn’t specifically address using yoga for Arthritis, but it does support the idea that the medical experts now agree that when treating RA, there needs to be a balance between exercise and rest. A person who is diagnosed with RA or a Yoga Therapist helping clients with RA would find it a useful resource. However, this book is already twelve years old; therefore, some of the medicines and research may not be up to date. Also, although the authors include a bibliography, they do not cite specific sources in their text. It would be up to the reader to delve further. You can purchase the book through Amazon HERE. Fatigue is a very common and often debilitating symptom in patients with rheumatoid arthritis (RA). Research shows that fatigue is a problem even for RA patients who are in remission or a low disease activity state1. This article expands upon the investigation of this type of lingering fatigue in RA patients, and the relationship between fatigue and other factors such as disease-activity measures, physical functioning and demographics. This study looked at data from patients enrolled in a large, 11-year, Norwegian study (The Norwegian Disease-Modifying Antirheumatic Drugs Register). From the larger sample of 1.5 million patients, researchers first selected 2,193 patients who had been treated with Methotrexate only or Methotrexate in combination with biologics. They then looked more closely at the 32% who were in remission or a low-activity disease state after 6 months of treatment. More than one in four (28%) of these patients continued to report high levels of fatigue in spite of having low disease activity. Results show that greater pain and poorer physical functioning were both predictors of fatigue. Other notable factors associated with fatigue include being female, being younger and having a greater number of tender and swollen joints. Interestingly, patients taking the combination of medications showed greater reductions in fatigue in comparison to those taking just Methotrexate. However, as the authors point out, these results should be interpreted cautiously as the patients in the combined therapy group initially reported greater pain and disease activity in comparison to the Methotrexate only group. Yoga, which has previously been shown to reduce pain and improve physical function3, also promotes mindfulness and some of the other skills mentioned above. With an individually tailored approach, yoga, in conjunction with conventional medication, may have the potential to be particularly helpful in addressing the pervasive effects of fatigue for those living with RA. 1. Curtis JR, Shan Y, Harrold L, Zhang J, Greenberg JD, Reed GW. Patient perspectives on achieving treat-to-target goals: a critical examination of patient-reported outcomes. Arthritis Care Res (Hoboken) 2013;65:1707–1712. 2. Cramp F, Hewlett S, Almeida C, Kirwan JR, Choy EH, Chalder T, et al. Non-pharmacological interventions for fatigue in rheumatoid arthritis. Cochrane Database Syst Rev. 2013;8:CD008322. 3. Moonaz SH, Bingham CO 3rd, Wissow L, Bartlett SJ. 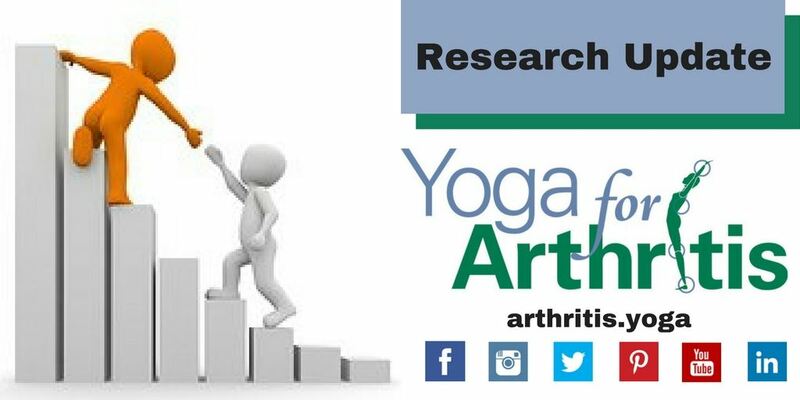 Yoga in Sedentary Adults with Arthritis: Effects of a Randomized Controlled Pragmatic Trial. Journal of Rheumatology, 2015 Jul:42(7):1194-202.doi: 10.3899/jrheum.141129. We had a very successful training course at Yogaville this year. We have 7 new Certified Yoga for Arthritis teachers. Here are some highlights that speak to the differences between the Level I Intensive and the Level II Certification course. We all participated in a student led chair class. This is considerably less nerve wracking and more cooperative than the group teaching experience from Level I, as we’ve all been teaching Yoga for Arthritis courses for some time now. We each presented something on our work with Yoga for Arthritis. These included some good safety considerations on working with clients who’ve had hip replacements, the benefits of guided imagery and how to manage classes that are so popular you triple your class minimums. 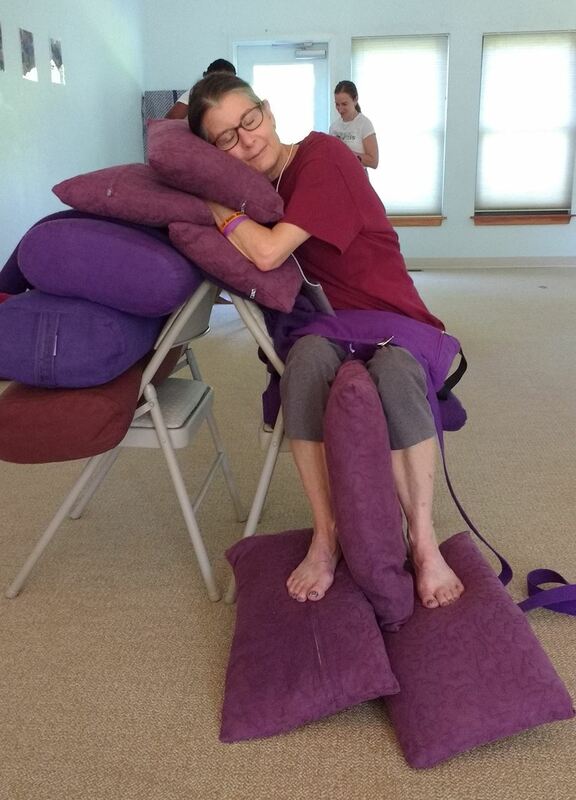 One of my favorite sections was our restorative class in chairs. That’s been a struggle for me. How to get clients as relaxed and comfortable as possible in a chair is a challenge. If I can get people to the smile stage, I’ve done my job. And of course, being an evidenced based program, one of the features is a review of the current research. Here’s a short clip of us discussing Cognitive and Emotional Control of Pain and its Disruption in Chronic Pain by Bushnell, Ceko and Low. The Level II Certification really prepares you to work with greater confidence, take on more one on one clients, and cooperate with other professionals and clinicians. If you’re pondering taking your training to the next level, we have one training left in 2016, October 29-31 at the Integral Yoga Institute NY. 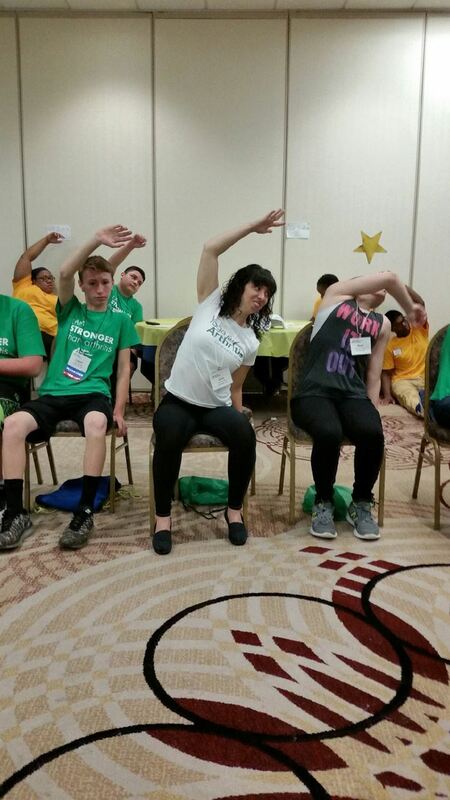 This past weekend, Dr. Moonaz and Jenn Daks attended the Juvenile Arthritis (JA) annual meeting in Philadelphia. 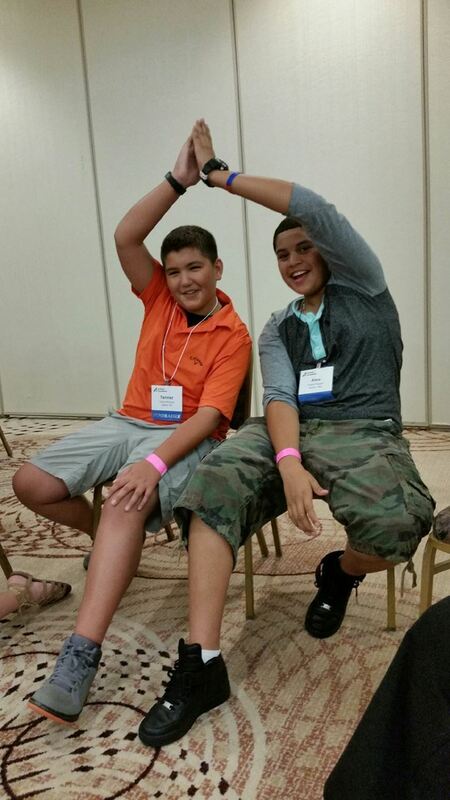 Along with over 1,000 other parents/caregivers, siblings, young adults, teens and children living with arthritis they joined in the mission to be #strongerthanja. teaching and educating conference attendees about the benefits of, and research supporting tailored practices of yoga for those living with arthritis. From smiling faces, to stories of hope and transformation, they were blown away by people’s positive reactions to their classes. 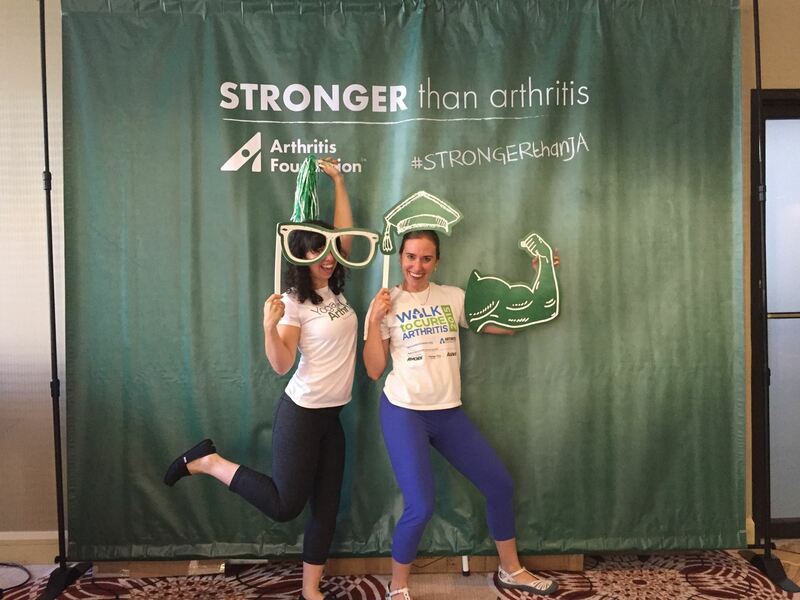 Dr. Moonaz and Jenn are both very excited to continue to work with the Arthritis Foundation to to educate, advocate and to grow stronger than juvenile arthritis. Knee osteoarthritis (OA), the most prevalent form of OA in adults over sixty years old, is associated with “considerable pain, reduced physical function, and impaired quality of life” ” and, ultimately, over 600,000 knee replacements in the US annually. The health and economic burdens of surgically treating OA highlight the need to identify predictors, risks and comprehensive treatments for knee OA, beyond surgery. This article fills a gap in the research, which has historically focused on pain as a main predictor of knee replacement. This study proposes the importance of thigh strength as a factor in predicting the risk of undergoing total knee replacement (TKR). Researchers examined data from a longitudinal study of people age 45-79 with or at risk of knee OA. From this larger study, researchers selected participants who had thigh strength measurements taken at regular intervals over the course of the four-year study. The researchers then compared those who at some point reported receiving a total knee replacement (TKR) with those who had not received a TKR during the same time period. Participants between the groups were “matched” on similar characteristics including, but not limited to-age, BMI, pain and disease severity. Researchers then compared thigh strength changes over time, between the two groups, and how those changes in strength corresponded to the incidence of knee replacement. Results of the study show that thigh strength is able to predict the risk of undergoing TKR in women. Specifically, women with lower thigh strength are also more likely to undergo knee replacement surgery. This study is important in identifying a predictor of knee replacement surgery that may be directly influenced by the individual. For exercise instructors, such as yoga teachers, this research highlights the importance of including exercises that focus on strengthening the thigh muscles. For students, it shows the importance of participating in safe, effective activities that provide life-long opportunities for thigh strengthening. The original article can be found in PubMed HERE. Why teach yoga for arthritis?